Boat excursions and Scuba in Serifos. You can have one day cruises (without an overnight stay) to islands within a small or medium distance from Serifos as well as a combination of them. Such islands are Sifnos, Kythnos, Poliegos, Kimolos and Milos. The half day cruises (4 hours) usually take place around Serifos and the nearby islands of Sifnos and Kythnos. 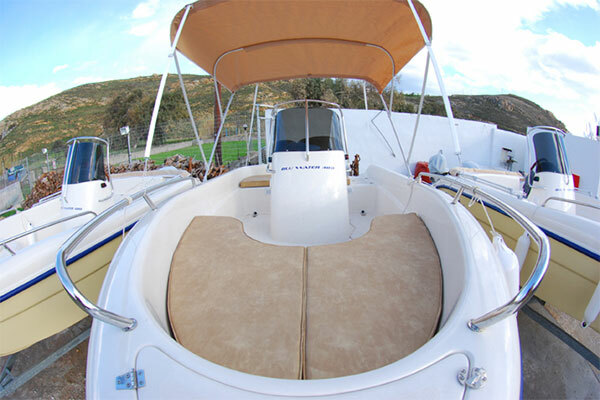 Reliable leisure boats, equipped with 30hp motors, for which no operator licence is required. Take the opportunity and visit beaches that are not accessible by other means. 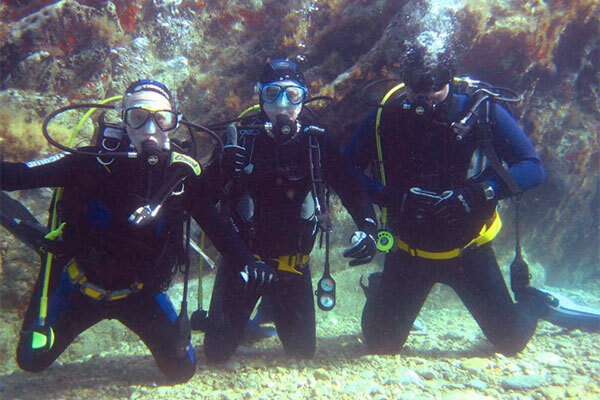 These are specially designed programs for people (12 years or over) who have no previous experience in scuba diving. You can learn how to safely use scuba diving equipment down to a depth of 12m and experience the unusual sensation of zero gravity in a magical underwater world. Ideal for resort visitors who do not have enough free time for a complete diving course. 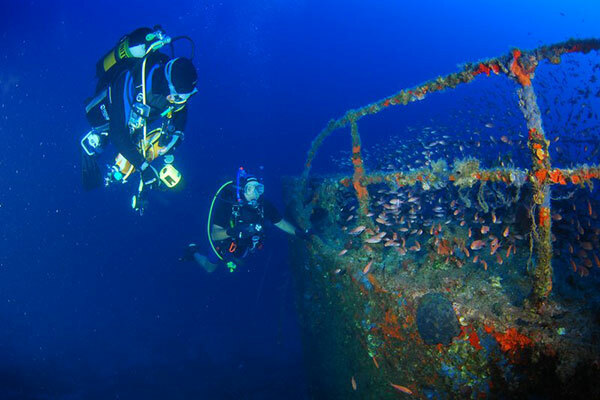 You will extend your diving skills by gaining experience under the supervision of experienced trainers in various controlled diving conditions up to a maximum depth of 39 meters. 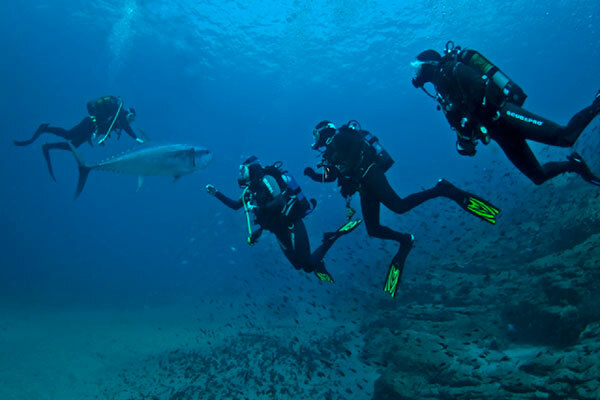 Take part at an organised diving excursion to hard-to-reach areas, deserted islands, as well as to bigger neighboring islands, or live tha amazing experience of diving with tunas! 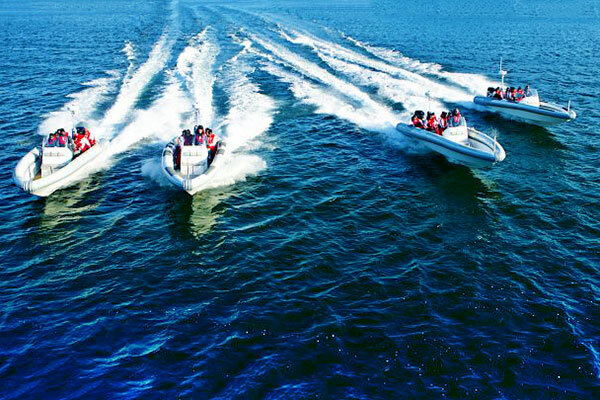 Our boats meets the highest safety standards and are always chartered accompanied by an experienced licensed captain, your host during your excursion, with very good knowledge of the area. This way we ensure you have a safe and comfortable trip and you experience the moments you have dreamt of.